Share Your First Gen story in the Red Book Project! In partnership with the Harvard Alumni Association, First Generation Harvard Alumni invite you to share your story for a special edition University-wide Red Book featuring personal stories of alumni from across all Harvard schools who share the common experience of being first in their families to attend university. Click here for more information on the book and how to participate, FAQ’s, sample essays and more. 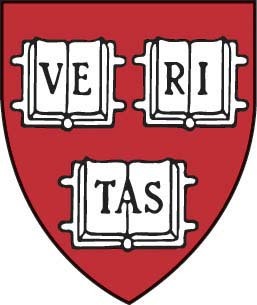 Join First Generation Harvard Alumni! "First Generation" is a group of Harvard alumni who are the first members of their families to attend college and who seek to support current first-generation students. Our mission is to make Harvard a better place for current first-generation students and help them to navigate Harvard successfully. We achieve this goal through mentoring, advocacy and providing networking opportunities. Thanks to the generosity of the Harvard Financial Aid Initiative, first-generation students make up a substantial portion (up to 18%) of today’s undergraduate student body. Every summer, first-generation students may request a mentor for their freshman year. First Generation Alumni are matched with students based on interest, location, background and other characteristics. Mentors and students determine how and when they will meet or chat throughout the year and the time commitment is usually less than two hours per month. In 2015, 2016 and 2017, we matched more than 100 alumni mentors with over 100 freshmen mentees each year. Throughout the year, and especially from January through March, students seek career advice. FGSU hosts well-attended panel discussions at Harvard with FGHA alumni through the Office of Career Services. If you would like to serve on a panel, have time to review a few resumes or offer informational interviews, please let us know. Networking also takes place informally at social events in Boston, New York, Philadelphia, Chicago and Los Angeles. From time to time, First Generation Alumni voices help current students bring the administration’s attention to their needs. Advocates of first-generation students also participate in gatherings on to welcome students, at Parents’ Weekend, with Admissions and the Harvard Financial Aid Initiative in April, and at ad hoc dinners during each semester.